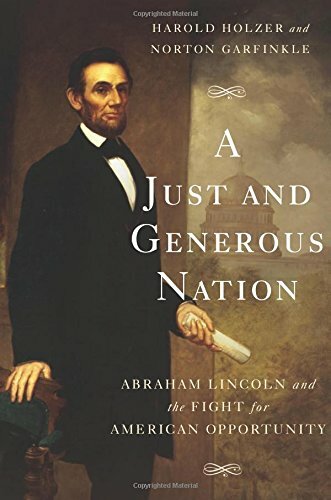 A Just and Generous Nation: Abraham Lincoln and the Fight for American Opportunity, by Harold Holzer and Norton Garfinkle. New York: Basic Books, 2015. I’ll start with a compliment. Overall, academic historians long ago abandoned any sense of social responsibility to the larger society. There are admirable exceptions, but for the most part, academic history is an inward-focused conversation that academic historians have with each other about the academic questions they find of academic interest. And if the public beyond the walls of the Academy equates academic with “arcane,” “elitist,” or “irrelevant”—a pretty logical inference—well, that’s the public’s problem, not ours. Our job is to advance the boundaries of knowledge after all, not to communicate with the masses. To their credit, Harold Holzer and Norton Garfinkle have written A Just and Generous Nation with a broad audience in mind (as its publication by a trade press, Basic Books, underscores). The book tries to make the past relevant to the present, and I applaud that. It deals with big questions, and I applaud that also. It’s written in an engaging manner—always a plus—and the authors unabashedly point out lessons they think we should learn, a trait I admire. In sum, I really like the conception of the historian’s task that underlies A Just and Generous Nation. It’s the authors’ execution of the task that drives me crazy. OK. This is a provocative thesis, but not beyond the realm of possibilities. Historians have debated Lincoln’s motives for a century and a half. Some have suggested that Lincoln was propelled by an almost mystical veneration of the Union bequeathed by the generation of 1776. Some have pointed to his conviction that slavery was “a moral, social, and political wrong,” a stain on the national fabric. Others have stressed Lincoln’s conviction that the Civil War was the ultimate test of the viability of democracy, a bloody trial to determine whether common people could govern themselves. And some have portrayed the war as a monumental clash of economic systems, a conflict between agricultural and industrial societies for national dominance. The Columbia University historian Charles Beard made that argument nearly a century ago, and there are faint echoes of that claim in A Just and Generous Nation. This is what the Civil War was about. This is why nearly eight hundred thousand men died and more than a million more were maimed: to secure for future generations an activist role for the federal government as the guarantor of middle-class prosperity. Almost all historians acknowledge that Lincoln advocated an active role for government in promoting economic development and economic opportunity. Probably the first political speech he ever gave called for state aid to dredge the Sangamon River in order to help local farmers get their crops to market. He quickly embraced the new Whig Party’s commitment to what Whig leader Henry Clay called “the American System.” This included a national bank to facilitate economic exchange, a high protective tariff to promote industrialization, and government aid to “internal improvements”—subsidies for the construction of railroads, canals, and the improvement of waterways—in order to accelerate the development of a market economy. Evaluated in the context of the mid-1800s—when the federal government was minuscule and the only federal employee that most Americans ever met was the mailman—Lincoln was undeniably a champion of active government. But he wasn’t a modern-day big-government Democrat, although Holzer and Garfinkle do their best to convince us otherwise. They may be right when they claim that “Lincoln’s domestic policies provided the first clear example of the positive role that could be played by the federal government to encourage the economic growth of the nation.” The Republican-controlled Congress passed a series of landmark economic measures during the war. Through the Morrill Act, the Transcontinental Railroad Act, and the Homestead Act, the Congress used the nation’s vast untapped resources of western lands to promote higher education, railroad construction, and increasing farm ownership. You can even question whether the Homestead Act was all that helpful in aiding upward mobility into the middle class. Although the act provided “free” farms to settlers who would improve the land for five years, economic historians have found that few working-class households had the resources to move west, erect buildings and fences on a homestead, and feed and clothe themselves for months while waiting for the first crops to come in. If it’s debatable to characterize these measures as unalloyed victories for the middle class, it’s preposterous to describe the enormous military expenditures that the war demanded as “the federal government’s stimulus programs.” Yet Holzer and Garfinkle do so, in keeping with their determination to portray Lincoln as the founding father of twenty-first-century liberalism. To drive home their point, in the second half of the book they trace the decline and rebirth of Lincoln’s progressive vision in the century and a half since his death. As they tell the story, in the late-nineteenth century the GOP turned its back on Lincoln’s dream for America and become the party of the one percent. Theodore Roosevelt tried to restore the GOP’s moral center, but it was the Democratic Party that eventually became, in vision if not in name, the true party of Lincoln. In sum, Lincoln would have been an enthusiastic advocate of social security, welfare, affirmative action, and the Affordable Health Care Act. Apparently, he also would have looked for economic guidance to Sweden and Denmark, where public spending and tax revenue as a percentage of GDP is double what it is in the U. S. The authors conclude A Just and Generous Nation with an extended tribute to both nations, leaving us to conclude that, while Lincoln’s vision may be withering in the United States, it’s alive and well in Scandinavia. You can draw your own conclusions about the authors’ policy proposals. There are arguments for and against them, with intelligent and decent people on both sides of the debate. As a historian, however, I have to say that A Just and Generous Nation is bad history, and I don’t say that lightly, given that Holzer is widely recognized as a leading Lincoln scholar. And yet the book is riddled with inaccuracies. I won’t bore you with the details, except to say that the authors misstate or misrepresent the facts concerning the Fugitive Slave Act of 1850, the meaning of Lincoln’s “house divided” metaphor, his vision for slavery’s “ultimate extinction,” the significance of Congressional compromise proposals in 1860-1861, Lincoln’s stance on the Second Confiscation Act of 1862, the implications of the Wade-Davis bill of 1864, the end of the Freedmen’s Bureau, and the relationship between postwar peonage and convict labor. The book can be sloppy at times. A Just and Generous Nation is a textbook example of what I call “history as ammunition,” an approach to the past as a storehouse of illustrations for proving predetermined points. When politically conservative amateur historians appeal to America’s Founders to promote a conservative contemporary agenda, academic historians are quick to protest. Only anti-intellectual populist yahoos—“historical fundamentalists,” to use Harvard historian Jill Lepore’s condescending phrase—would naively do such a thing. But it’s apparently fine for two prominent scholars to ask WWLD?—“What Would Lincoln Do?”—as long as the answer points in the direction that most academics are already headed. Let me be clear: I’m not frustrated by this book because I disagree with the authors’ liberal politics. Their politics are irrelevant. Long-time readers of this blog will know that I have regularly called to account conservative Christians when they have done something similar. As a historian of the United States, my frustration is with those who distort our past while claiming to honor it. And as a historian of the American Civil War more specifically, I can only say that Holzer and Garfinkle have so contorted that crucial conflict that few of the men who fought in it would recognize it. 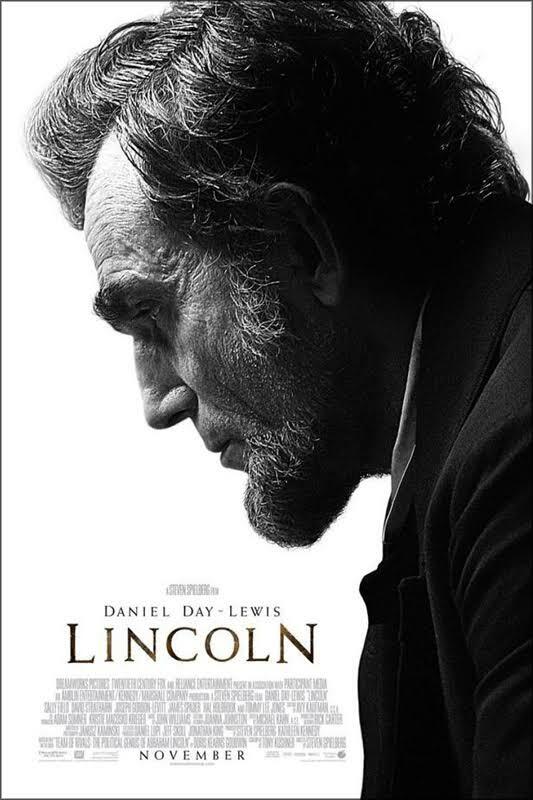 Today is Abraham Lincoln’s birthday (he was born 207 years ago, if you’re wondering), and a great way to commemorate the occasion would be to watch one of the best movies about American history ever made, the 2012 Stephen Spielberg film Lincoln, starring Daniel Day Lewis, Tommy Lee Jones, and Sallie Field. On the whole, academic historians praised the movie when it came out, and I generally concur. Lincoln can be criticized for numerous factual inaccuracies (most of them minor), but by Hollywood standards, the film makes room for an unusual degree of historical complexity. I recommend it highly. To begin with, the entire structure of the film drives home the complicated interrelationship between the issues of slavery and race in mid-nineteenth century America. One of the most important things to understand about the coming of the Civil War is that southern whites tended to believe that the defense of slavery and white supremacy were inseparable, while northern whites thought otherwise. As the sectional crisis of the 1850s intensified, southern whites tended to see any criticism of slavery as an assault on racial hierarchy. Northern whites, in contrast, were divided on the matter. While northern Democrats regularly condemned abolitionism as part of a fanatical crusade for racial equality, northern Republicans went out of their way to separate the issues of slavery and race. Indeed, they had no choice if they wanted any kind of political future. Northern voters were not ready to embrace racial equality, even as a hypothetical goal, but the majority, at least, might be convinced to support the end of slavery if emancipation did not seem to threaten the privileged position of whites in American society. 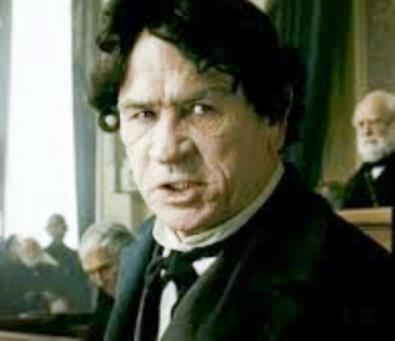 Lincoln makes this point wonderfully in the scene in which Pennsylvania Republican congressmen Thaddeus Stevens (played by Jones) disavows support of political or social equality for former slaves, even though he had long been a supporter of both. The clear message of the scene—a historically accurate one—is that passage of the Thirteenth Amendment required that the party of Lincoln frame the racial implications of emancipation as conservatively as possible. The movie also illustrates nicely the considerable diversity within the Republican Party itself with regard to emancipation and racial equality. Whereas scenes situated in the House of Representatives commonly pit Republicans against Democrats, many of the movie’s more intimate conversations—in the president’s cabinet room, the executive office, even the White House kitchen—were designed to highlight differences of opinion among Republicans themselves. So, for example, we see Jones’ Thaddeus Stevens chiding Lincoln for his timidity and telling the president that the only acceptable course is to free the slaves, expropriate the land of their masters, and totally remake the southern social and racial structure. 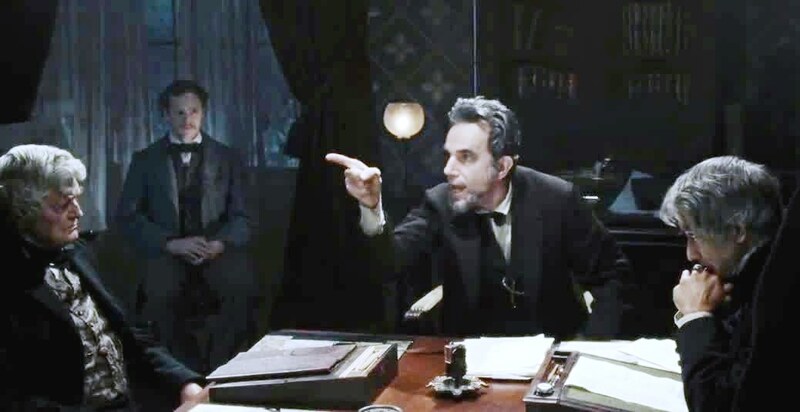 But we also listen in as Maryland Republican Francis P. Blair (played by Hal Holbrooke) lectures Lincoln that conservative Republicans will never support emancipation at all unless they can convince their constituents that the measure is absolutely necessary to win the war. The movie does an outstanding job in helping us to imagine just how difficult a task it was for Lincoln to satisfy the disparate factions of his own party and still fashion a reasonably coherent public policy. Yes, Lincoln gets a lot of its history right, and in a medium in which that rarely occurs. And yet the message of the movie is historically inaccurate and anachronistic. 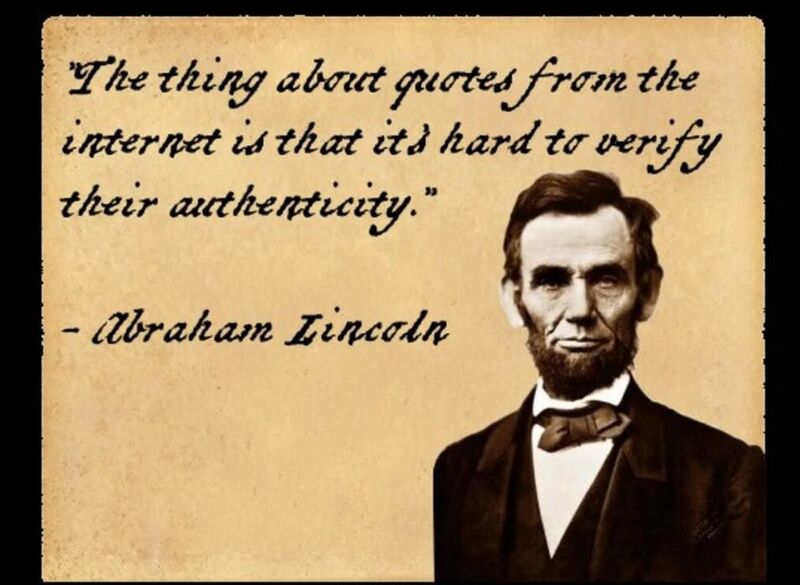 What is Lincoln trying to say to us? I suspect that historian Louis Masur is correct (writing in The Chronicle Review), when he observes that the film aims “to restore our faith in what political leaders, under the most trying of circumstances, can sometimes accomplish.” I’m no movie critic, and I don’t know for sure what producer Stephen Spielberg or playwright Tony Kushner intended, but this certainly seems to be the message that emerges. Not coincidentally, it is a message that many Hollywood liberals would find comforting: a determined leader uses the power of government to push a reluctant nation toward a self-evidently righteous end. In fairness, I don’t think that such a reading of Lincoln’s leadership is entirely off base. Lincoln was an adept politician who successfully held together a diverse coalition during the greatest trial our nation has endured. More specifically, the movie’s portrayal of Lincoln’s sense of urgency in pressing for a vote on an emancipation amendment before the war’s conclusion is well grounded in historical evidence. And in the end, it is undeniable that our sixteenth president forcefully promoted a measure—the abolition of slavery—that a substantial majority of the nation’s free population opposed. At the same time, however, the movie’s simplistic message requires a selective reading of Lincoln’s private papers and public pronouncements. Such a selective reading is facilitated by the chronological focus of the movie, which centers almost entirely on the first few weeks of 1865. A broader focus might have complicated the film’s central message enormously. Ever since Lincoln’s assassination, well meaning Christians have insisted that “the Great Emancipator” was a sincere follower of Jesus. I would never say dogmatically that he was not (who can know the human heart save God alone? ), but I will say that almost none of Lincoln’s closest contemporaries viewed him as a man of orthodox faith. The best modern scholarly study of Lincoln’s religious beliefs—by a nationally respected Christian historian, Allen Guelzo—argues persuasively that Lincoln never fully accepted the Christian concept of a God who intervenes in the world to effect the salvation of individual sinners who trust in Him. (I highly recommend his biography Abraham Lincoln: Redeemer President.) And yet Lincoln did believe in Providence. In his early adult years such faith amounted to little more than a belief in a “First Cause” or “Prime Mover,” but by the beginning of the war Lincoln had come to believe in a God who actively superintended human affairs. As the war grew long and its human cost soared, furthermore, it is clear that the president ached to find some larger meaning or divine purpose in the conflict. When I was in grade school (not quite half a century ago) I used to love the month of February. Not only did we typically have a class Valentine’s Day party, but there was not one but two school holidays in rapid succession: Abraham Lincoln’s birthday on February 12, and George Washington’s birthday ten days later. Although I didn’t know it at the time, we owed the second holiday to the U. S. Congress, but the first holiday came courtesy of the great state of Tennessee. 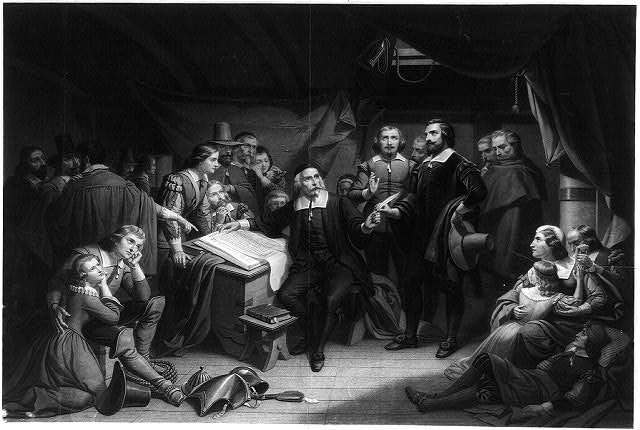 That is, Washington’s Birthday was a federal holiday–and had been since the 1880s–but Lincoln’s Birthday was a state holiday, observed in parts of the country and not in others. On the eve of WWII, it was an official holiday in twenty-six states, the District of Columbia, and the territory of Alaska. The number of states with a Lincoln holiday fell sharply after 1971. The culprit was the passage that year of the Uniform Monday Holiday Act, a pragmatic measure that moved a number of federal holidays to the nearest Monday, primarily to generate more three-day weekends for federal employees. The act shifted observance of Washington’s Birthday from February 22nd to the third Monday of the month, and although merchants and advertisers soon began referring to the holiday as “Presidents’ Day” (or “President’s Day,” or “Presidents Day”), there is technically no federal Presidents’ Day holiday, and the day off many of us will get next Monday (February 15th) is technically thanks to the federal observance of George Washington’s Birthday, although many of us assume that the Monday holiday was intended to honor both presidents. 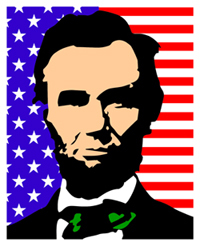 At any rate, by 1990, the number of states with a Lincoln’s Birthday holiday had fallen from twenty-six to ten, and now it has dwindled to four: New York, Connecticut, Missouri, and (of course), the state with “The Land of Lincoln” on its license plates where I now reside, Illinois. Even though most of us don’t remember Lincoln’s birthday any more, my new friend Wayne Shepherd does. After more than three decades with Moody Broadcasting in Chicago, Wayne is now the host of several nationally syndicated radio programs and hosts a weekly thirty-minute podcast called First Person with Wayne Shepherd. With Lincoln’s birthday in mind, Wayne invited me to his studio not long ago to discuss our nation’s sixteenth president. If you’re interested, you can listen to our conversation here. These are difficult days at Wheaton College, dark, discouraging days. A storm broke over our heads last December. It erupted when our colleague, Dr. Larycia Hawkins, posted comments online that some readers interpreted as equating Islam and Christianity. It intensified when the college’s administration first suspended Dr. Hawkins, then announced that it would seek to dismiss her from the faculty. Perhaps an end is now in sight. Over the weekend the administration announced that it was withdrawing its request to terminate Dr. Hawkins and then disclosed that Hawkins and the administration had mutually agreed to “part ways.” How these steps will be received—what they will mean to faculty, staff, students, alumni, and the larger world—is an open question. What is certain is that the controversy has exacted a heavy toll. For the past two months we’ve been besieged left and right. Liberal detractors have denounced Wheaton’s fundamentalism and Islamophobia, even as conservative critics lamented the school’s surrender to theological liberalism and political correctness. “Woe to you when all men think well of you,” Jesus said. At least we don’t have to worry about that. Just as sloshing a coffee cup reveals what’s inside it, the stress and strain of the controversy has shown the world the truth behind our admissions brochures. We’re a fallen institution staffed by fallen men and women. More precisely, we’re sinners—to use an unpopular term—and I’m the chief of them. As a recent speaker on our campus put it, it’s wholly fallacious to think that we’re in the business of receiving innocent Christian teenagers (they’re not) with the goal of preserving their innocence (we can’t). Instead, we’re a community committed to joining a two-thousand-year-old conversation about the meaning of the claim that “Jesus Christ is Lord.” Together, we explore the implications of that declaration, both for our innermost selves and for the way that we engage the world. Yes, we are fallen, but our calling is high and wonderful, and the opportunity to pursue it is unspeakably precious. That is why I love Wheaton College. I don’t love it because it’s perfect. (See above.) And I’m not saying that I love it at this moment in order to make a point about who’s been right in the current controversy. I’m making this declaration—I feel compelled to make it—because I’m sick at heart and I’ll burst if I stay silent. Too much recent criticism of the college goes beyond the matter at hand to call into question Christian education more generally. In reply, I want to follow the example of generations of evangelicals before me and share my testimony. I use the term advisedly. What follows isn’t a systematic argument about the pros and cons of Christian education. I’m just going to testify to my experience. You can make of it what you will. 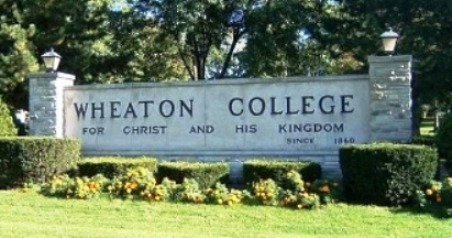 You should know that my perceptions of Wheaton College are inseparable from the twenty-two years that I spent at the University of Washington before coming here. William Faulkner is famous for observing that “the past is never dead. It’s not even past.” More poetically, in Intruder in the Dust, one of Faulkner’s characters explains, “It’s all now you see. Yesterday won’t be over until tomorrow and tomorrow began ten thousand years ago.” Faulkner meant that we never meet the present in pristine purity. The past is ever with us, shaping who we are, what we notice, how we see. Surely my story bears this out. Every day that I come to work, I see and feel and experience Wheaton in the light of my time in the secular Academy. How could it be otherwise? It was in the secular Academy that I first learned to think, to research, to teach and to write. It was there that my sense of vocation was originally conceived and nurtured. And it was there, above all, that I developed a longing for a kind of education that the secular Academy could never deliver. The University of Washington’s “Cathedral of Learning,” Suzallo Library. I had a private study on the library’s fifth floor. As I reflect on it, my time at the University of Washington divides neatly into two periods. The first was the tenure-track years, when my highest priority was not to think about my job but to keep my job. If you’re not familiar with the process, most colleges and universities give their new full-time faculty six years or so to earn tenure, and if they fall short of the institution’s standards, they’re sent packing. You’ll probably think that’s more than generous if you earn your living in the business world, where employees are regularly fired or laid off with short notice. The difference is that in the academic world—in large part because of the tenure system—job turnover and new job creation is minimal. Professors who are denied tenure rarely find other academic positions. You don’t start over at another school. You start over in another line of work. And if you’ve already spent six to eight years (or more) toiling on a Ph.D. and another six years of 60-70-hour work weeks as an assistant professor, you can understandably conclude that you’ve just wasted a good part of your life. The stakes are enormous, and that has a way of keeping you focused. At the time, I would have described these years primarily in terms of their intensity. Now, I remember them more as a period of sleepwalking and inertia. With little self-awareness, I jumped onto the academic treadmill and did what the Academy asked of me. It wasn’t unpleasant. I benefited from UW’s exceptional resources, worked with bright students, and learned from supportive colleagues. And if you had asked me during those years, I would have said that I was being faithful to my calling as a Christian university professor. I was teaching a college Sunday School class, occasionally witnessing to unbelieving students, and (as a good Southern Baptist) saying “no” to wine at faculty parties. Above all, I was pursuing excellence in my field, loving God with my mind by pressing toward the prize of tenure, promotion, and professional recognition. Or so I thought. And then I got tenure. Isn’t it funny how God can expose the emptiness of our ambitions by fulfilling them? In the spring of 1994 I received two momentous pieces of mail almost simultaneously, and in tandem they changed the direction of my life. First, I received an advance copy of my first book, soon to be published by Cambridge University Press. It was pretty typical of first books that begin life as doctoral dissertations. It was deeply researched but narrowly focused. Specialists praised it—it won two professional book prizes—but almost no one else could understand it or desired to. Worse, there were no eternal issues in its pages, no engagement with Permanent Things, no grappling with questions of importance to my local church or to the broader community of faith. It was of the Academy, to the Academy, and for the Academy. 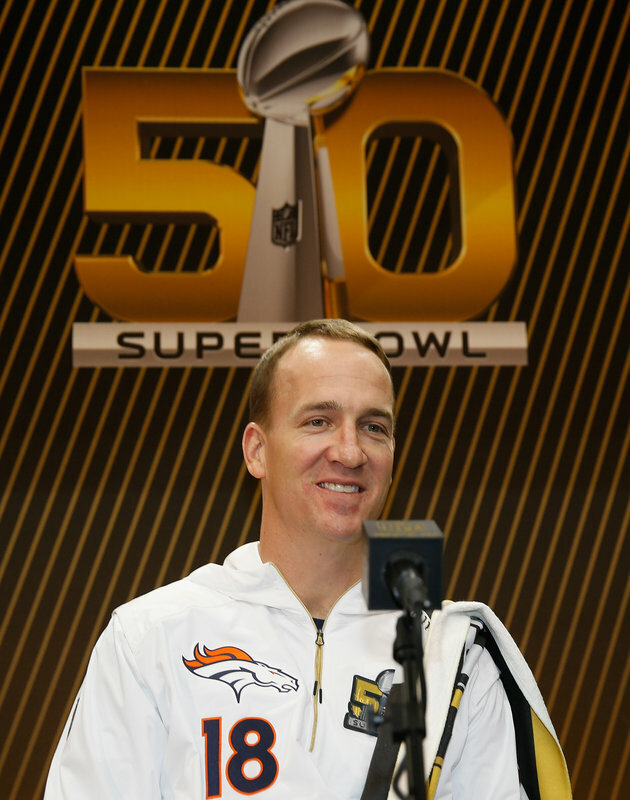 And the Academy, for its part, said “Well done, good and faithful servant! 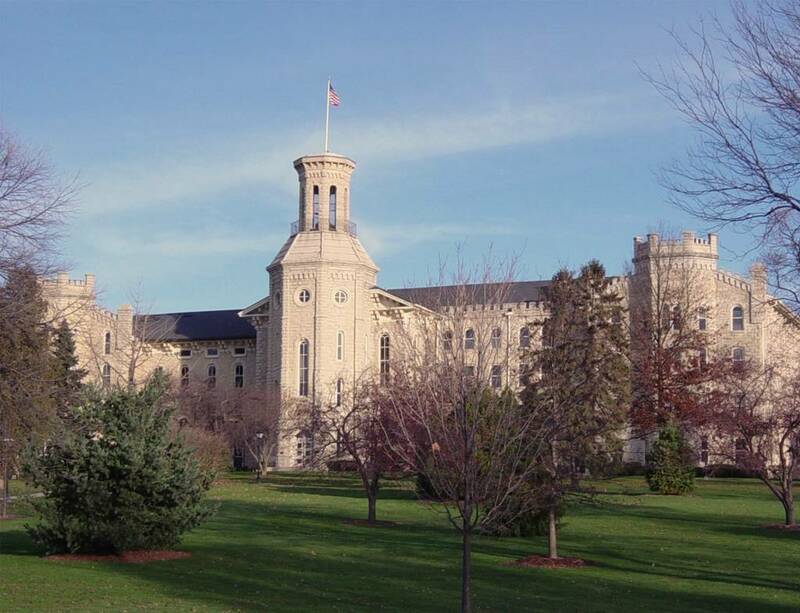 Enter into the joy of your lord.” That same week I received formal notification from the UW trustees that I had been promoted and granted tenure. The real decision on my tenure application had been made much earlier—once Cambridge had offered me a book contract the outcome was certain—but there was still something symbolically jarring about receiving the book and the promotion letter in the same week. I weighed these two “successes,” figuratively holding one in each hand and reflecting on what my university chose to value and reward. What I felt wasn’t elation, or affirmation or gratification, but a profound sense of emptiness. I was thirty-three years old, at the salary I was earning I knew I would have to work until I died, and I couldn’t imagine being able to continue for much longer. Humanly speaking, I was experiencing what academics know as the post-tenure letdown. It’s so common that it’s become a cliché, so I don’t pretend for a moment that my experience was unique. But I believe that God used this time of discouragement and searching to help me think critically and deeply—really for the first time—about the pluralistic multiversity of which I was a part. I began to read—more enthusiastically than systematically—about the relationship between the love of God, the life of the mind, and the nature of true education. And as I did so, I began to see the university with new eyes. Then I began to see myself with new eyes, as I realized how effectively the Academy had shaped me into its mold. Peter Kreeft writes that our culture wants us to be “well-adjusted citizens of the Kingdom of This World.” Through years of osmosis, I had come to be a well-adjusted citizen of the Academy. It didn’t strike me as odd that the university had no cohering vision, that it denied the unity of truth, that it sought to expand knowledge while ignoring wisdom. I swallowed the Academy’s claim that it was ideologically neutral. Most troubling, I accepted as natural its compartmentalization of religious belief, with the attendant assumption that we can understand vast domains of human experience without reference to God. 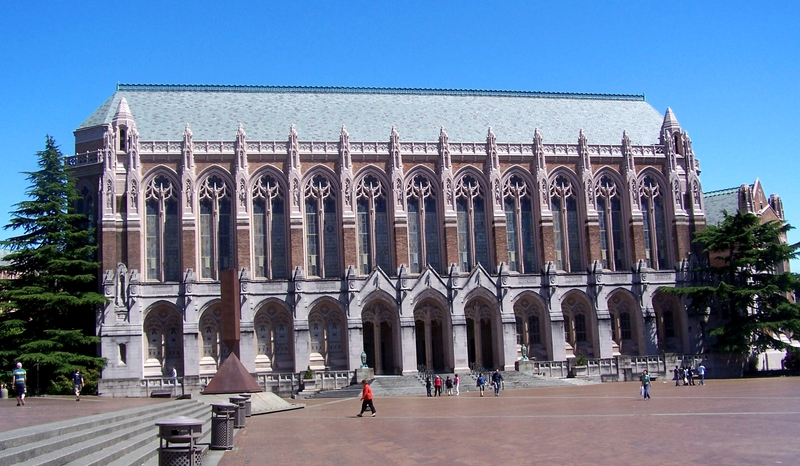 My Christian friends in Seattle regularly assumed that life was hard for a Christian professor in a place like the University of Washington, and they were right, but not for the reasons they supposed. They imagined that the environment was openly hostile to believers and figured that I must be the target of ostracism or even persecution. That was never my experience. Oh, there were continual reminders that I wasn’t in church: the student government association distributing “condom grams” in honor of Valentine’s Day, drag queens performing in the library courtyard (for course credit, no less), the school newspaper proclaiming “Jesus Should Have Been Aborted,” the department colleague who was a transvestite, to mention a few. Such things were disturbing, but it’s not like I’d been unaware of them earlier. What distressed me far more were the limitations that I faced in the classroom. I hadn’t felt them when I first arrived at UW fresh from grad school. My primary goal was to help students understand the past on its own terms and largely for its own sake. And because they typically came to the university with pretty simplistic historical views, I would inevitably explode many myths that they harbored and complicate their understanding both of the past itself and of the craft of the historian. In the process, I was quick to assure them, I would also teach them critical thinking skills that would help them land good-paying jobs at Boeing or Microsoft or Amazon. And then my sense of vocation began to change, in large part because of the reading I was doing about the nature of true education. I came to believe that my highest goal was not to help my students make a better living, but to help them wrestle with what it means to live well. I came to believe that authentic education is not the same thing as vocational training (important though that is), that it is a transformative experience that changes who we are. And as I began to take that goal seriously, I began to struggle with an ever increasing sense of futility. In his 1947 meditation The Abolition of Man, C. S. Lewis wrote that “the pressing educational need of the moment” was not primarily to debunk our students’ unsubstantiated convictions. “The task of the modern educator,” Lewis maintained, “is not to cut down jungles but to irrigate deserts.” Lewis’s challenge both inspired and depressed me. Every day I taught students who had learned at the university that it was not necessary to have a consistent philosophy of life, that rationality was a “western construction,” that ideas were merely “convenient perceptions” and moral claims only rationalizations for self-interest. And because of the authoritative rules of the secular Academy, when those students came into my classes, I was free to pose religious questions to them but never answer them authoritatively. I was allowed to introduce religious perspectives to them but never endorse one above the rest. I could demonstrate the contradictions of particular belief systems but never proclaim the good news of a consistent alternative. In sum, if I was going to irrigate deserts at UW, I would have to do so without ever testifying to the “the fountain of living waters” (Jeremiah 2:13). This was frustrating, as well as profoundly alienating. I never really felt alone as a Christian in the secular university until I began to try to think like one. As I did, I came to see myself, as Blamires put it, as “caught up, entangled, in the lumbering day-to-day operations of a machinery working in many respects in the service of ends that I rejected.” And so, by the year 2000, I had begun to pray for an opportunity to teach in a different setting built on a firmer foundation. A decade later, God answered that prayer. I’ll be back with Part Two in a few days. These last couple of days I have been reading a fair amount in the correspondence of Thomas Jefferson, and just yesterday I came across some of Jefferson’s ruminations on the importance of exercise that might interest you, especially given the likelihood that almost all of us will soon be watching a certain athletic contest. The comments I have in mind come from a letter that Jefferson wrote to his nephew, Peter Carr, in the summer of 1785. Carr was his wife’s brother’s son, and Jefferson seems to have taken great interest in his upbringing after Carr’s father died when young Peter was only three. By 1785 Jefferson’s wife had also passed away, and it may be that Jefferson saw in the teenaged Peter a tangible link to his beloved Martha. Perhaps he even saw in Peter the son he would never have. Whatever his motive, Jefferson devoted considerable attention to Carr’s education, and he counseled him frequently on the path his nephew must follow if he aspired to a career of accomplishment and service worthy of a Virginia gentleman. 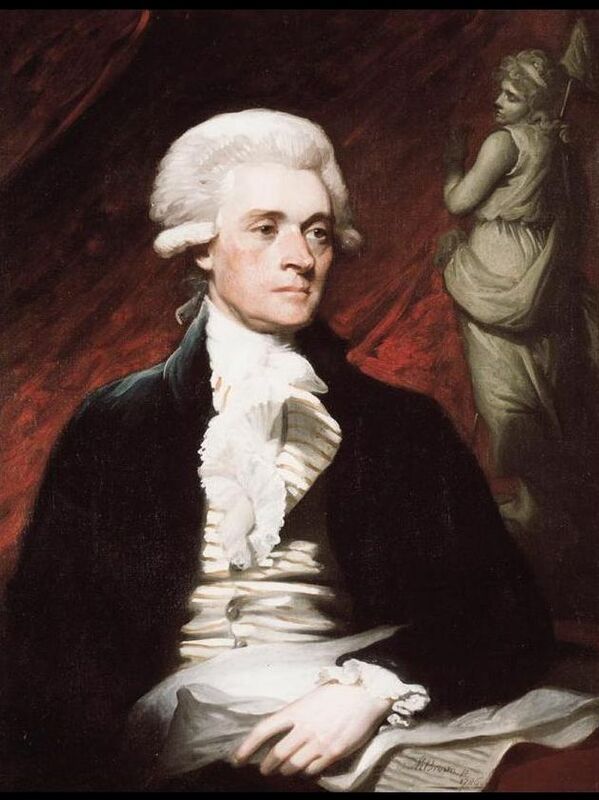 Thomas Jefferson sat for this portrait by Mather Brown in 1786, the year after he wrote to his nephew Peter Carr. Jefferson began by focusing on his young charge’s character. “The purest integrity” and “the most chaste honour” must be his nephew’s “first object.” “The defect of these virtues can never be made up” by other accomplishments. Then after integrity comes intellect. “An honest heart being the first blessing,” Jefferson explained, “a knowing head is the second.” And so the future president lay out a course of reading for the teenager. He must begin with “antient” history–“reading everything in the original” language, of course–and proceed from there to Greek and Roman poetry, followed by a systematic study of philosophy and ethics beginning with Plato and Cicero. Thomas Jefferson would advise him not to play tomorrow.